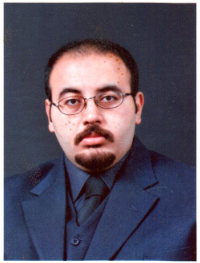 Biography: Dr. Ahmed A.Moneim A.Fattah Al-Traigey is a Lecturer, Benha University, Egypt. He received his MD at Benha University, Egypt, 2012. He is working as a consultant at Abdulrahman Almashari Hospital. He worked as a Senior Registrar at Armed Forces Hospitals Southern Region KSA. He published 13 articles in different journals. Mechanical induction of labor and ecbolic-less vaginal birth after cesarean section: A cohort study. H Atia, M Ellaithy, A Altraigey, M Kolkailah, A Alserehi, S Ashfaq Taiwanese, Journal of Obstetrics and Gynecology 57 (3), 421-426. Prediction of recurrent ectopic pregnancy: A five-year follow-up cohort study. M Ellaithy, M Asiri, A Rateb, A Altraigey, K Abdallah, European Journal of Obstetrics & Gynecology and Reproductive Biology 225, 70-78. Knot positioning during McDonald cervical cerclage, does it make a difference? A cohort study. H Atia, M Ellaithy, A Altraigey, H Ibrahim, The Journal of Maternal-Fetal & Neonatal Medicine, 1-7. Three-dimensional power Doppler ultrasonography in evaluation of adnexal masses. AM Abbas, AM Sheha, MN Salem, A Altraigey, Middle East Fertility Society Journal. Hysteroscopic Evaluation of the Uterine Cavity in Women with First-Trimester Missed Miscarriage: Case Series. A Altraigey, M Nosseir, A Abbas, M Mohamed, M Alsayed, J Gynecol Res 3 (1), 105. The maternal and neonatal outcomes of teenage pregnancy in a tertiary university hospital in Egypt. AM Abbas, SS Ali, MK Ali, H Fouly, A Altraigey, Proceedings in Obstetrics and Gynecology 7 (3), 1-10. Scar pregnancy and spontaneous rupture uterus—a case report. A Mosad, A Altraigey, Ginekologia polska 88 (12), 698-699. EP18. 04: Transabdominal, transperineal and transvaginal cervical sonography for prediction of preterm labour. AA Altraigey, KF Abdelkader, MI Fahmy, Ultrasound in Obstetrics & Gynecology 48 (S1), 346-346. OP27. 03: Cervical length as a predictor of placental adherence and massive hemorrhage in placenta previa. AA Altraigey, MI Ellaithy, A Majeed, Ultrasound in Obstetrics & Gynecology 48 (S1), 139-140. Value of hysteroscopy in missed abortion. 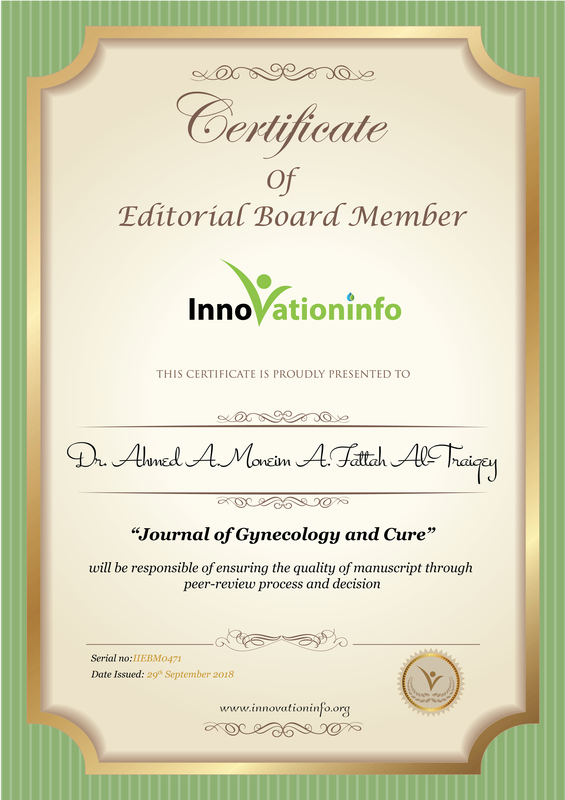 A Altraigey, M Nosseir, Bjog: An International Journal of Obstetrics and Gynaecology 123, 224. Cardiac performance in obese pregnant women: Are they in jeopardy? A Altraigey, M Ellaithy, M Kolkalihah, M Shehri, M Mesilhy, M Attia, ... BJOG-AN INTERNATIONAL JOURNAL OF OBSTETRICS AND GYNAECOLOGY 123, 135-135. Ovarian Functions and Reproductive Preservation in Patients with Systemic Lupus Erythematosus: A Review of Literature. A Altraigey, B Talaat, K Mohamed, JFIV Reprod Med Genet 4, 182. Comparison between 2D and 3D ultrasound in the prediction of the oocyte maturity in ICSI. Visual Inspection after Acetic Acid (Via) as an alternative Screening Tool for Cancer Cervix. Ovarian Functions and Reproductive Preservation in Patients with Systemic Lupus Erythematosus: A Review of Literature. Cardiac performance in obese pregnant women. Value of hysteroscopy in missed abortion. massive hemorrhage in placenta previa. Transabdominal, transperineal and transvaginal cervical sonography for prediction of preterm labor. Viable Ovarian Pregnancy: Case Report. Hysteroscopic Evaluation of the Uterine Cavity in Women with First-Trimester Missed Miscarriage: Case Series. Three-dimensional power Doppler ultrasonography in evaluation of adnexal masses. The maternal and neonatal outcomes of teenage pregnancy in a tertiary university hospital in Egypt.